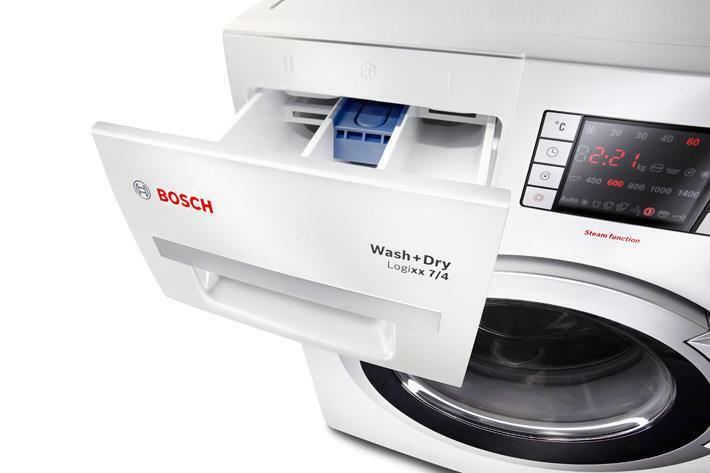 Today we are looking at the Bosch WVH28360GB Washer dryer. As the name suggests this machine can not only wash your clothing but also dry your clothing too. All the moisture from the machine, is deposited throught the standard waste pipe, so there is no need to vent externally or extract the water from a tank.